Should I write my personal story? And what about publishing it? 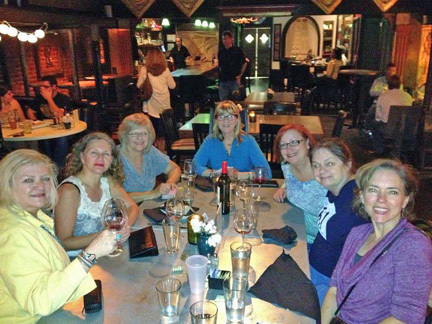 Several years ago I went to a writing conference that drew in authors and agents, and it was a good conference…until Sunday morning. The last panel was composed of mainly agents, discussing publishing. They worked it up to a feverish point and concluded by expressing the view that the publishing world had collapsed, there had been major changes, and basically we attendees were probably not going to be published — and self-publishing was frowned upon by the traditional publishing world. The room fell silent. Wait, I just spent a thousand dollars to come here and discover there’s no hope? It was a downer that ruined the whole event, and I left for home stunned. I’m always skeptical about conferences now. Agents come…looking for that author and story that’s going to make money. It’s business, after all. They look for people with platforms — national champions, football heroes, a country music star, the frat boy who spent a summer in Central Park with the homeless, someone with a lot of media attention. Someone who can draw crowds and produce a best-selling book. I was reminded of this the other day when I read Chip’s blog at MacGregor Literary. “Should I write my cool personal story?” I encourage you to read the whole thing, but if you don’t have time, here’s the gist of it. 1. There’s very little market for personal story books. 2. It’s where we are in today’s publishing economy. No matter how successful these books used to be…publishers just aren’t selling enough copies of personal story books to make it worthwhile anymore. 3. Network TV is filled with personal stories (reality shows), there are 20 million blogs, and the web is filled with people who want to tell the world about their stories. There are cool personal stories everywhere — and they are FREE! 4. The internet is killing nonfiction book sales. People can find the answers to their questions and self-help needs on the web for free. 5. That’s taken away the incentive people have to purchase a personal story book, unless there is a great sense of celebrity or media associated with the book. Sounds like a real downer, huh? But Chip goes on to say MORE. And it’s the same thing I’ve heard at creative nonfiction conferences and workshops and the same thing I teach in every venue I have an opportunity to speak. Consider turning your personal story inside out. Don’t focus on your personal story — focus on the principles for living that come out of your story. Don’t just use the book to tell what happened — use the book to share the principles for living you’ve learned, and use your story to illustrate those principles. In other words, it’s not all about you. Remember the reader. Draw the reader in, give the reader something, teach the reader what you learned while going through your personal experience. Reflect. Make something of your story. I will never forget…at the first Oxford Creative Nonfiction Conference in 2008, I went through a manuscript critiquing session with Dinty W. Moore. We began discussing my manuscript. Then, he tossed it aside and with a sneer said, “Who cares?” My mouth dropped open. “Who cares?” I got his point. And it was the best thing that ever happened to me. IT’S NOT ALL ABOUT YOU. Get over yourself. Give the reader something. Because if we don’t have readers, we don’t have anything. The reader needs to walk away after reading your story feeling as though he bought something worthwhile. He has spent time with you (gotten to know you as a character) and learned with you and from you something that will help him in life and gained insight that will be valuable if he ever encounters a situation similar to yours. It’s not about you — it’s about the reader. I’ve said it a million times: Writing that is all about you will never see the light of day in print. Clarksdale, Mississippi. Last weekend. Creative Nonfiction at the Crossroads. Neil White led a Saturday morning workshop, Susan Cushman read an essay from a newly published anthology she’s in, and I read my essay in The Best Creative Nonfiction Vol. 3 and shared and led manuscript critiquing sessions during the 24 hours of the workshop weekend. 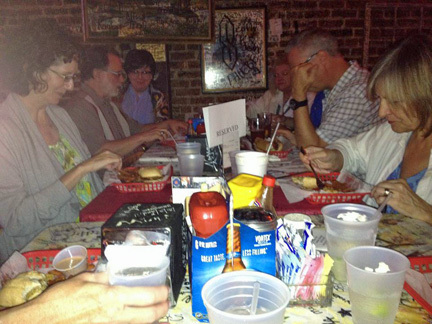 About twenty people came together — beautiful, creative people, from Mississippi and not from Mississippi. We gelled quickly, we talked and read and listened and shared and were genuinely inspired by one another. We talked about getting together again. For a bigger conference. Oxford, Mississippi. Next year: May 2-5, 2013. The Oxford Creative Nonfiction Conference. With Lee Gutkind and other top names in the genre. 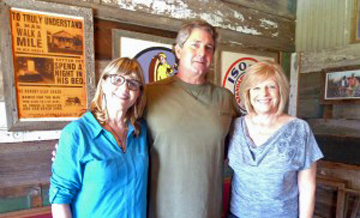 Neil White, Susan Cushman, and I are co-directors, and we’re excited about offering the opportunity for people from all over the country to come to Mississippi, to attend workshops and panels and to pitch to agents and to grow and build skills in the genre…and to enjoy the sweet Southern spirit of quaint Oxford. Writers, come join us! It’s time NOW to make a reservation at the Inn at Ole Miss. The conference will be held on campus, and it’s important to secure a room there. Now. 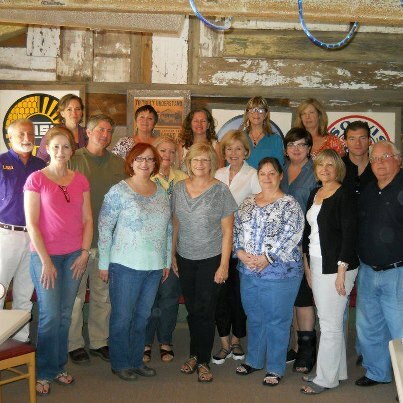 Come, be a part of our Southern Creative Nonfiction Community. We’re building and bonding and supporting one another. Clarksdale, I know. It’s sort of like home. I was born and raised about forty miles south, down the straight and narrow Highway 61. My spirit came out of that fertile soil, I was born of it, steeped in it. My spirit is still attached there. I feel it when I go home. On the day we sold my mama’s house in 2010, after she and Dad had owned it for 64 years, I dug some dirt out of her yard and put it in a crystal dish. I have it with me now, along with the house numbers 807 that hung next to her front door. A reminder of who I am and where I came from. The Delta. The Mississippi Delta. Formed by that mighty river…that is mine, too. Oxford. An hour and a half from my girlhood home. I remember William Faulkner in the news. I remember things people said about him. I remember the day he died. Now, I know other authors from there. I’ve seen and felt the creative spirit that lingers there around the Square and over the town. The Mississippi spirit. Come. Feel it. Join us in 2013. I stayed in the Red Shack Over Yonder, across the tracks from Shack Up Inn. 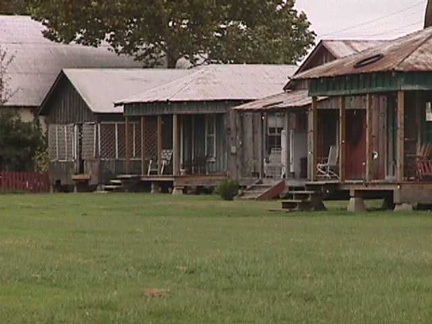 It’s one of many authentic sharecropper shotgun shacks of Hopson Plantation in Clarksdale. The plantation still has a cotton gin and other farm outbuildings. It’s three miles from the legendary Crossroads, where Highway 61 meets Highway 49, where the muse is carried in the breeze across wide flat fields, over meandering bayous, and through the cotton, white and open on the vine. This is a land of birth. Blues music came out of these fields, came from poor black workers and sharecroppers, from their spirituals and field hollers and ancestral rhythms—those people who lived in the real shotgun shacks of the last century or two, the shacks that dotted Highway 61 all the way down from Memphis. I grew up down here in the Fifties and Sixties and remember far down deep in my soul riding in the back seat of my daddy’s Ford down that narrow straight two-lane 61, window rolled down, leaning my head out, letting my hair whip in the wind, and watching and listening to groups of fieldhands chanting and singing, clanking their hoes to the earth on the beat. It’s where the music came from. And the spirit of it was birthed in me, enough of it anyway to hold that sound as a treasure, something significant, something that came out of suffering and hard times and unfairness, and that sound created out of the fertile Delta soil would rock and change the whole world. Times have changed. 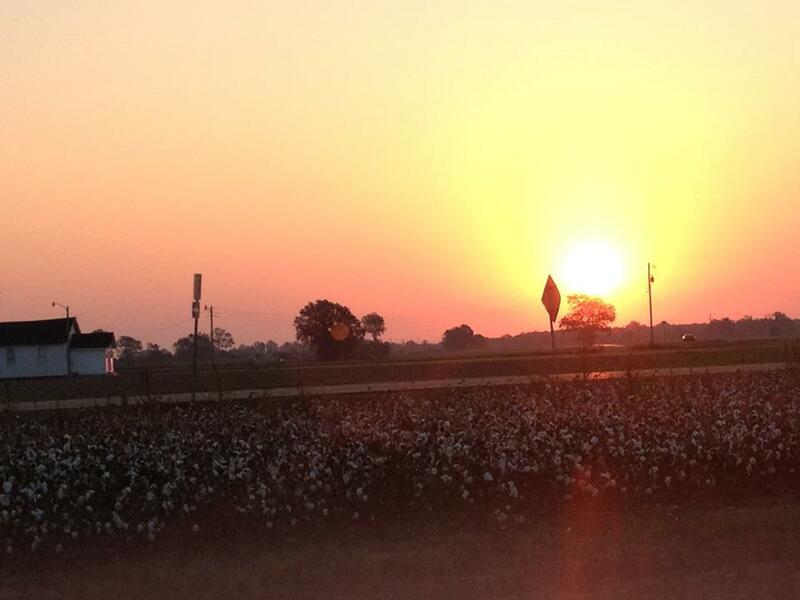 There’s not a lot of cotton in the Delta anymore. And Highway 61 is four lanes. 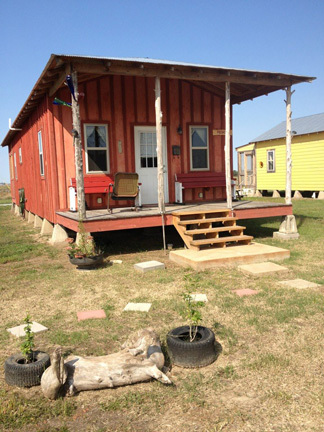 And the shotgun shacks have been revitalized. 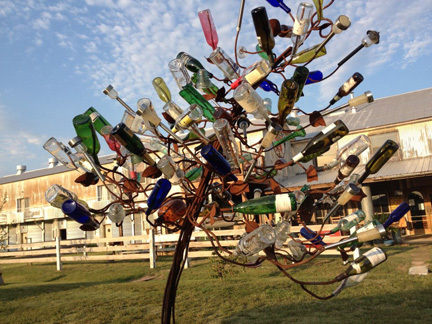 The bottle tree outside the Shack Up Inn office is alive with purpose, catching light, its colors dancing in the sun, beckoning evil spirits inside the bottles, trapping them for eternity. Letting the muse stay free and unfettered. Letting the winds blow through this land with sound. 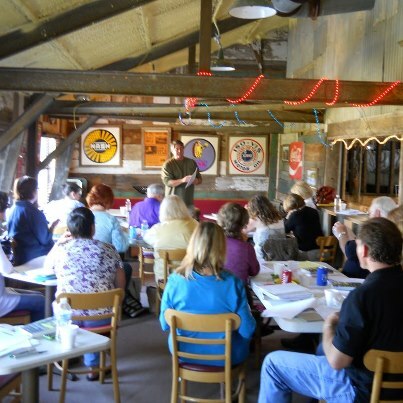 It was this spirit of new possibilities and dreams of new talents taking root on soft-blowing winds that brought a group of twenty to the plantation on the autumnal equinox: Creative Nonfiction at the Crossroads. New people brought new sounds, stories to tell, gripping stories of loss, pride, illness, injustice, unfairness, and death. We shared, listened, learned the basics of telling true stories, inspired each other, and laughed, and drank wine and bourbon, and ate some Southern soul food, and sat on porches, and slept in shotgun shacks, and watched the sun rise over Delta cotton and a black country church, and wrote while the sun was rising. It doesn’t get any better than this. And hopefully, this weekend was the hoe-beat to the earth that kicks us all into creative mode to do what we need to do. It was a magical time. They are our stories. It’s our time. Let’s make it happen. When you tell your story, when you open up and share your innermost feelings, you are putting yourself on display. You are letting the real you be known. You have picked the scab off the ugly stuff under it. You are out there, vulnerable, for all to see and judge. You are supposed to do this in creative nonfiction. You are supposed to admit what you did wrong, confess faulty philosophy, share your raw emotions and feelings, share your idiosyncrasies. You are an open wound. Often, others don’t know how to treat that wound. They don’t like who you are. And so, you try to sink back down into the new pink flesh and pull the dried blood over you and you vow to stay under the scab, hidden away, and never, ever again share yourself. Only you can’t. Because you’ve already done it. As I remember and reflect, I re-read “Nine Eleven,” eleven years later, an excerpt from Pink Butterbeans. I quote from my journal of 9/11/01: This day began like any other day. I woke up at 5:30, let the dog out, and got a cup of coffee. It was cool, in the 50s, and a beautiful morning. A crew of painters arrived that morning to paint the trim on our house. We decided that Charlie would stay home, give instructions, and get them started, while I went to the office to take care of important details before returning home to exchange places with him. Driving east on Mack Hatcher Bypass, approaching its intersection with Franklin Road, I heard the news on 92.9 that a plane had crashed into the World Trade Center. I thought a small plane, an accident. So did the deejays, but they also suggested the possibility of a terrorist act. One said, “Oh, gosh, why would anyone do that?” Stopped for the red light, I grabbed my cell phone, punched in the 5-digit code to unlock it, and called Charlie. He would be at his workbench in the garage with a TV just above him. He had Channel 13’s Breaking News on before I finished my sentence. Then he started a roll . . .
“What? What? WHA-A-AT?” I pleaded. “What is happening?” He’s an engineer—logical, exact, serious, factual, precise—never emotional or panicky like me. I was still reeling, my head spinning, trying to achieve a balance with my thoughts, trying to make sense out of all this, not understanding the full implications, the utter horror, the short-term or long-term significance of what had just happened. How could he grasp this concept? How did he know? Heart thumping hard, I jerked open the office door, bell clanging a B flat above my head, and cried out to our technician, seated at his desk, “What is going on in this world?” He was a part-time employee of the Tennessee Air National Guard. Puzzled at my frenzy, he never took his eyes off me as he switched on the radio. We listened to unfolding, breaking news. Two planes crashed into the twin towers of the World Trade Center. A plane hit the Pentagon. The White House was evacuated. Another plane crashed near Pittsburgh. Why Pittsburgh? We learned later that it was headed for the White House or the Capitol. I felt scattered. Things were happening that shouldn’t be happening. Gravity did not exist anymore. Everything had gone awry. The whole world had exploded into confusion. Like confetti scattered to the wind. How do you collect it all? I wanted to sweep it all up, to put my world back together. How would we ever restore order again? Where would it end? What other tragedies were lurking, waiting to happen. What else? WHAT ELSE? Charlie called, “Go do your banking and come home now! I’m going to the store. Going to get some necessities—flour, sugar, bottled water, canned goods. We don’t know what’s going to happen.” I wasn’t sure why we needed flour and sugar, but if that’s what he needed to feel safe and prepared, so be it. All planes in the United States of America were grounded. All planes were ordered to proceed to the nearest airport and land. On my way home, I drove across South Berry’s Chapel Road, as I do every day. Over the high hill and down into the beautiful valley, gated community with million dollar homes, green pasture on the hillside, horses grazing, swishing their tails, trees flirting with September yellow, Canada geese on a pond, skies so blue, so beautiful. A plane, an orange Southwest, flew over low, headed to the airport for an unscheduled landing. I slowed and watched it overhead through my sunroof. It would be the last jet I’d see for a long while in normally busy skies. The skies were empty, eerie. And so quiet . . . so damn quiet. Again, I quote from my journal of 9/11/01: For the first time in my life, I was afraid. I kept looking at the skies—looking for the dreaded long white contrails of nuclear missiles approaching. I was glued to the TV news the remainder of the day. Watching over and over the plane hitting the second tower. Over and over the towers crashing down, killing thousands of innocent people. Watching gray survivors fleeing, coated with ash. Ashes of victims incinerated. Ashes of powdered concrete. I just stared. I couldn’t comprehend it. I couldn’t process the horror. My brain didn’t have enough megahertz or gigabytes to accumulate this data, to process it, to assimilate it, and react. I could not react. It was so far away. It was in my living room. It was in my country. America. We live above violence of this nature. Things like this don’t happen here. We are safe here. We are not safe here. We will never be safe here again. Tears wouldn’t come. From my journal of 9/11/01: I watched continuous coverage on CNN. CNN’s banner was “ATTACK ON AMERICA.” During the afternoon, I retrieved messages from the office. One message was from the Air National Guard, trying to reach our technician, a navigator with the Guard. It said, “We are considering this an Act of War.” The guard was on Threatcon Charlie, the second highest alert, with two units on Threatcon bravo. Chilling.